Most of the 230 rioters arrested after violent protests erupted in Washington D.C. following Donald Trump's inauguration will be charged with felony rioting, federal prosecutors said on Saturday. The charge carries a punishment of up to ten years in jail and a $25,000 fine. 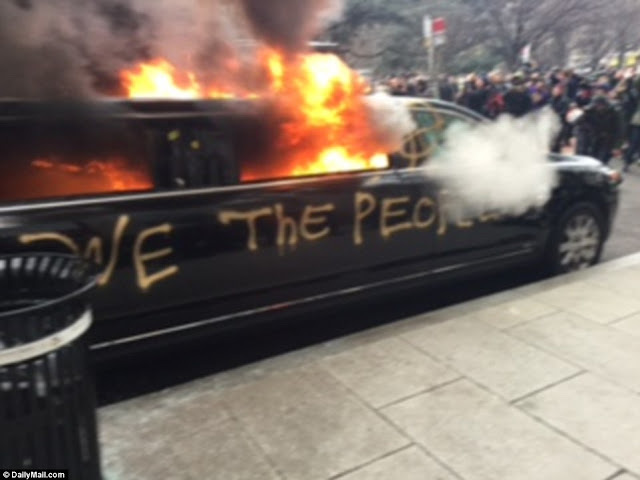 Thousand of protesters launched a violent rampage just blocks away from the White House as anti-Trump demonstrators smashed store windows, set fire to cars and threw bricks at police. It looks like the era of violent protests riots, is quickly coming to an end. Are we a 1st World Civilization with rules and laws or do we live in a 3rd World? Based on the behavior it seems the latter. More than 500 people, many wearing masks and handkerchiefs over their faces, marched through the center of DC. 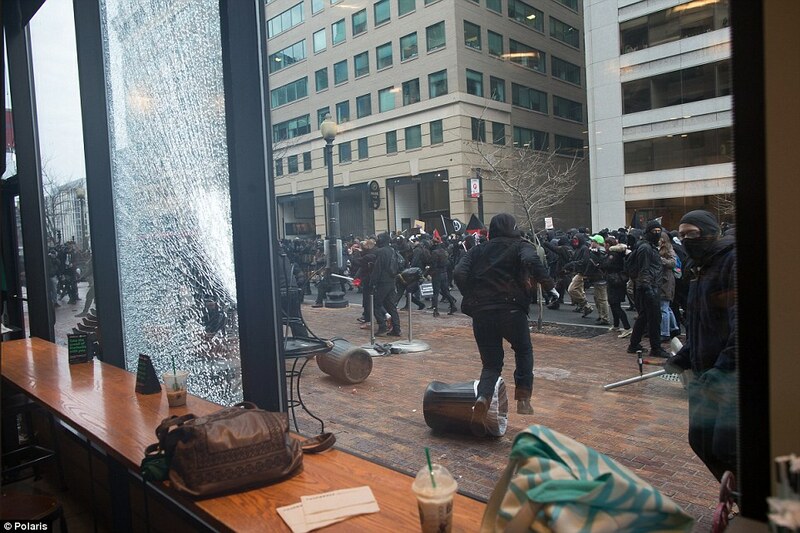 They attacked cars and shop windows, smashing glass panes at a Bank of America branch, a McDonald's outlet and a Starbucks shop. Luis Villarroel from Virginia dropped passengers off near the corner of 13th and K Streets NW then parked in front of the Washington Post building. I'm told that America saw this type of violence in the 1960's during the Civil Rights Movement, I guess history is cycling back again. Atleast in the 60's there where legitimate moral issues on the table, what are they trying to protest in 2017? That tampons are too expensive? Perhaps my 'Male Privilege' is missing something...or that's what my millennial friends tell me...meanwhile as this is happening down south, I just want to be left alone and not worry about locking the doors in my car.